Preparing the veg beds may well have been rudely interrupted by a shower of hail, yes, HAIL at the weekend. But that still doesn’t detract from the fact that spring has sprung. 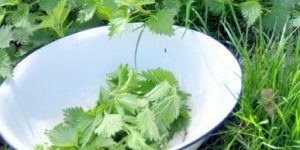 The songbirds are chirping their way into our early mornings, the lambs are gamboling across the fields and, much to our household’s delight, the nettle tops are just high enough to be cropped for soup.